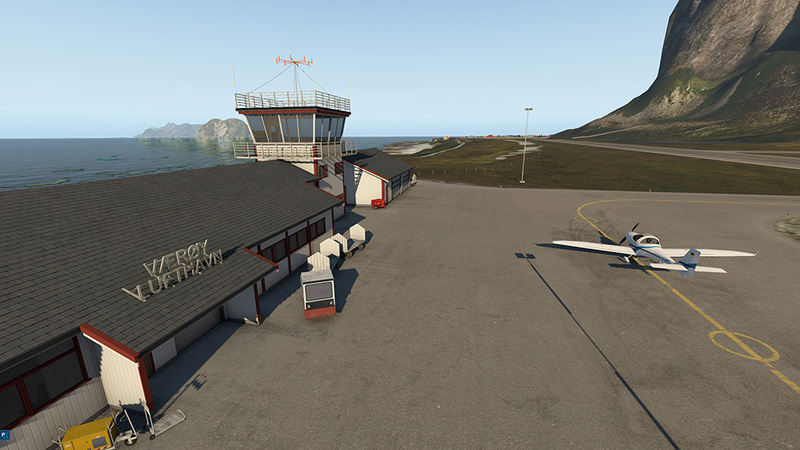 Værøy is a small community located on the southern tip of the Lofoten archipelago. 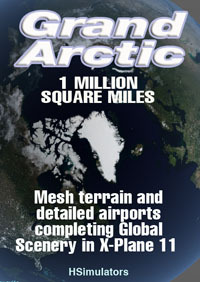 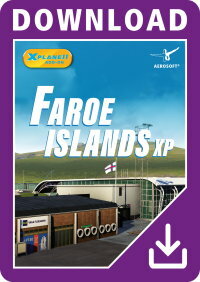 Known for its unpredictable weather, long summer days and nights lit by the dancing auroras during the winter season. 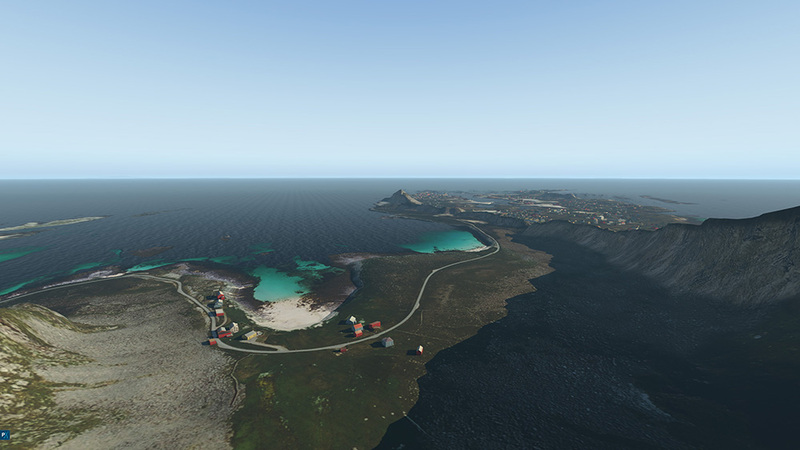 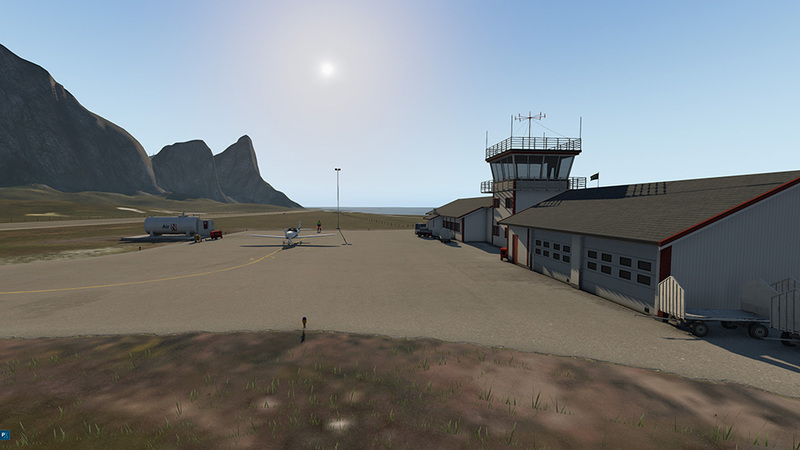 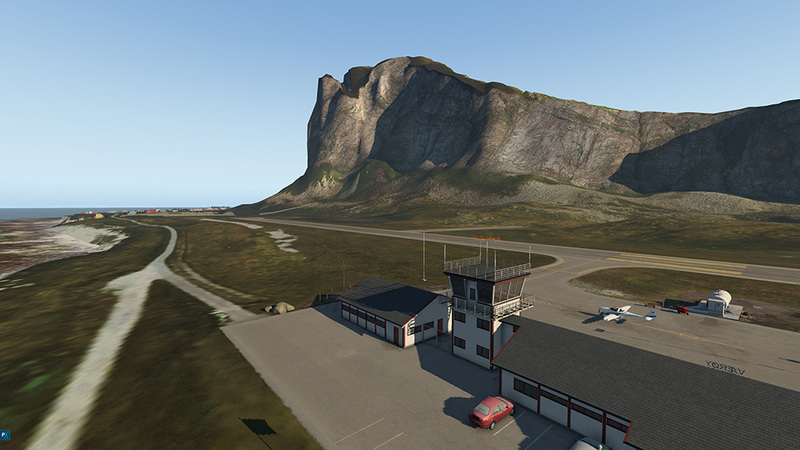 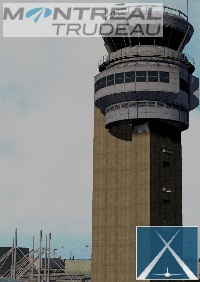 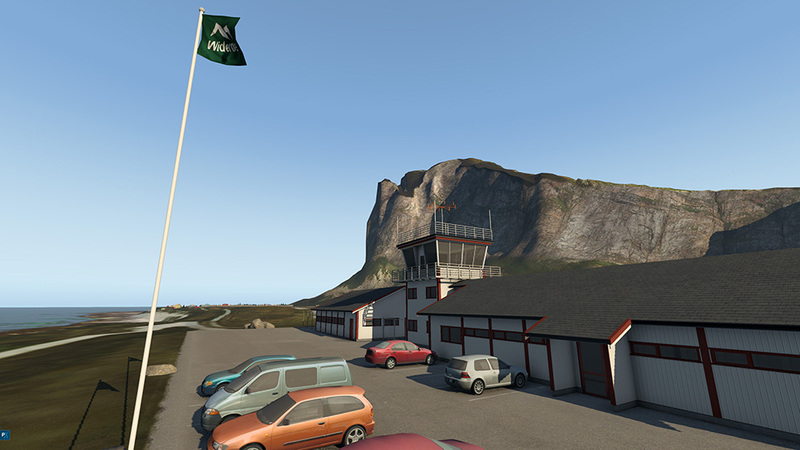 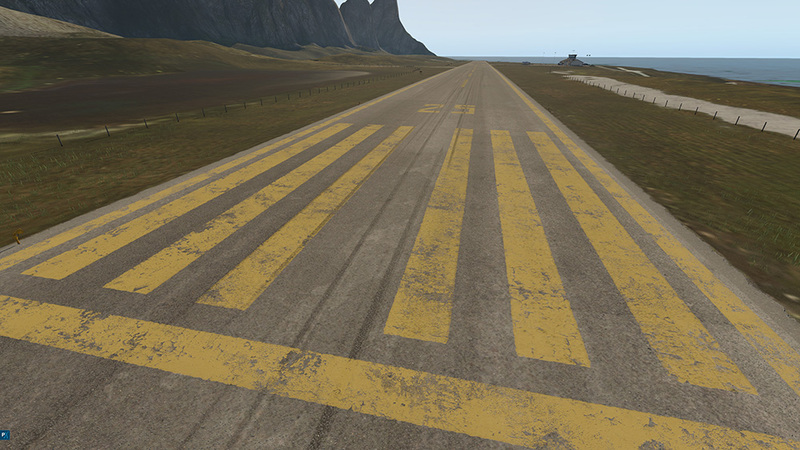 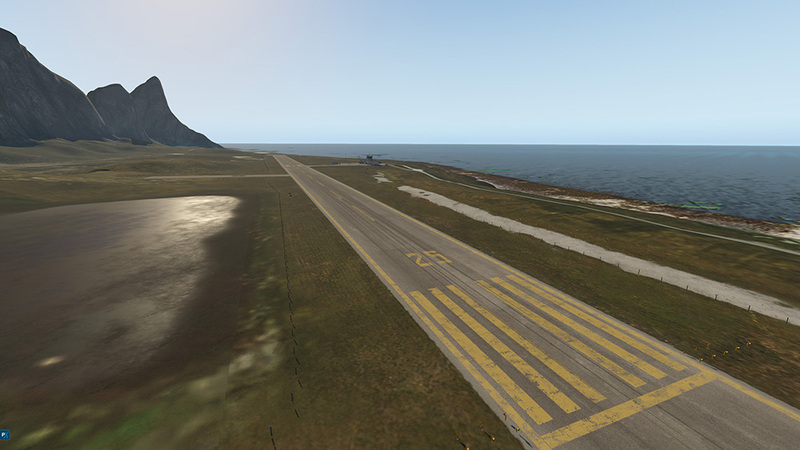 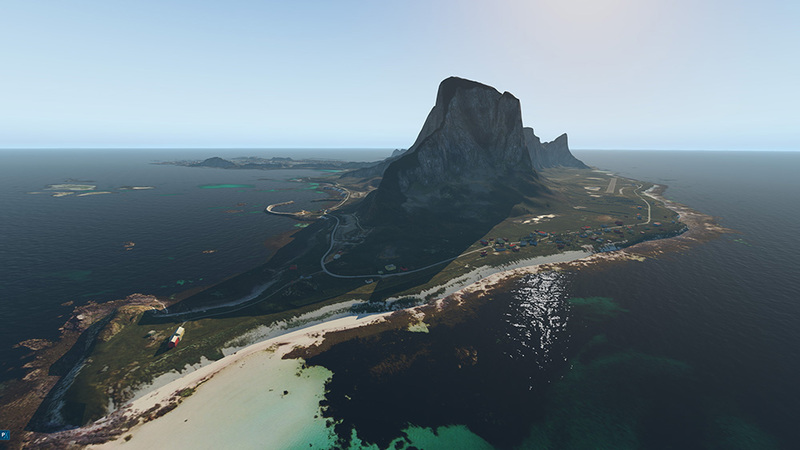 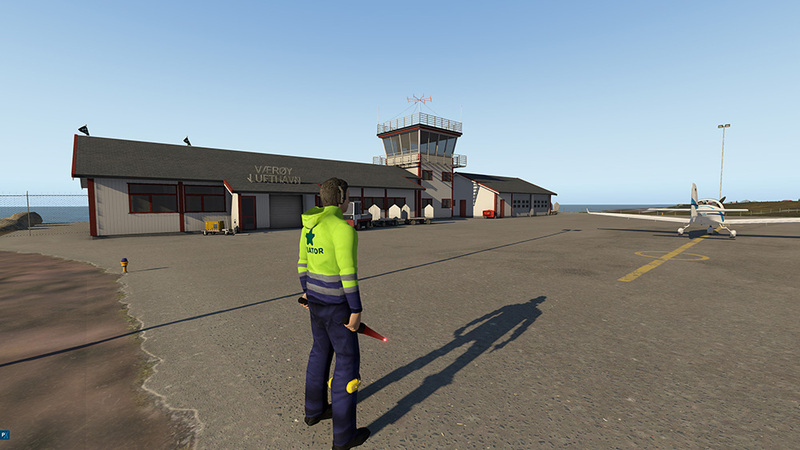 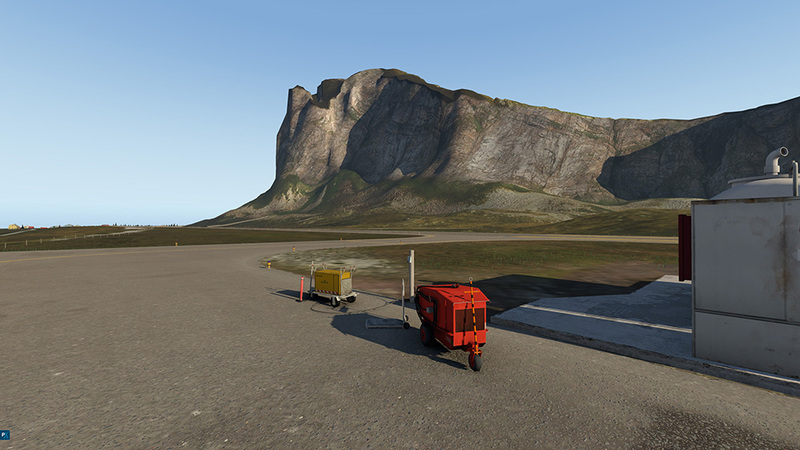 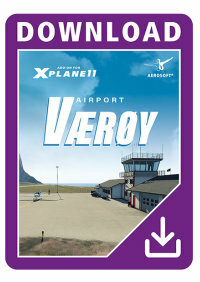 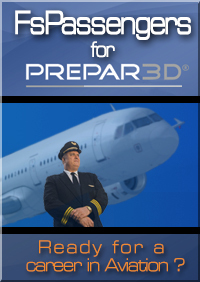 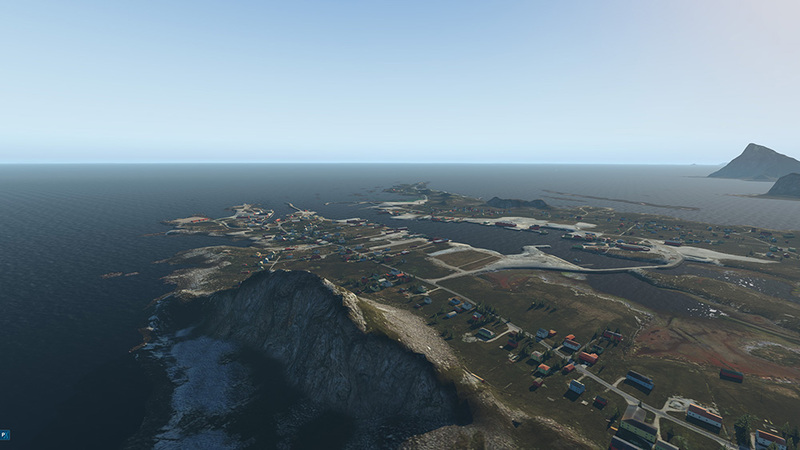 Airport Værøy is a very accurate recreation of the island, including both Værøy Airport (ENVY) and the newer Værøy Heliport (ENVR) located on the southern tip of the island. 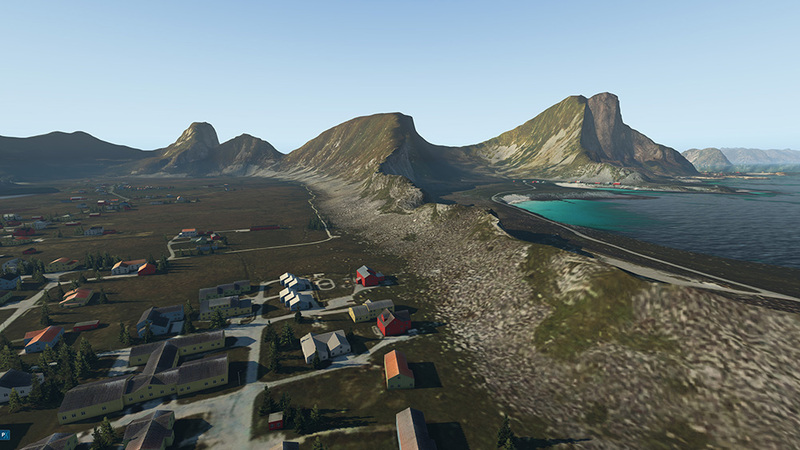 The whole island is modelled in high detail to recreate the scenic terrain that this part of Norway is known for. 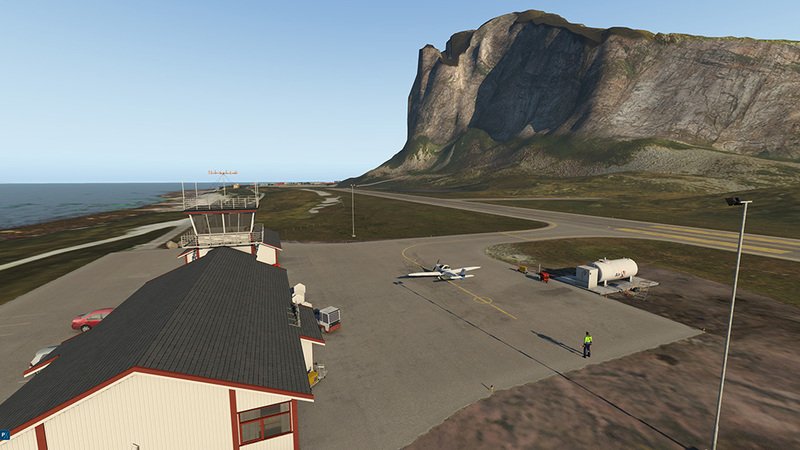 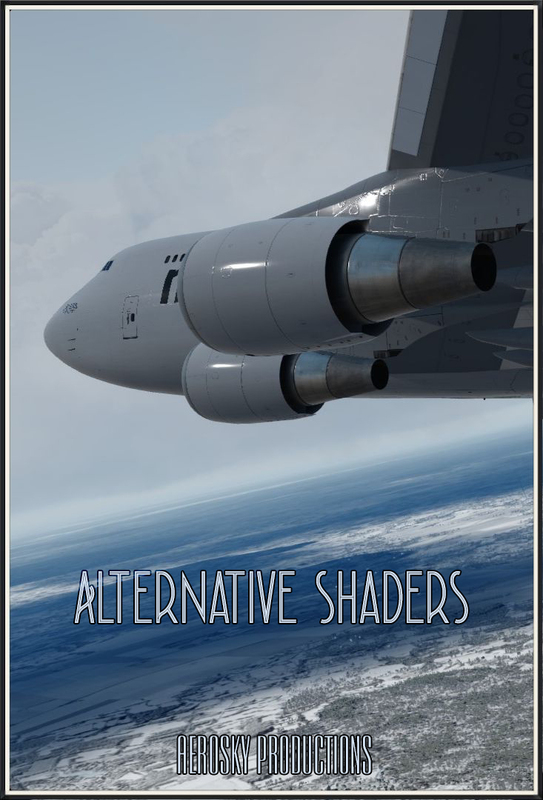 The airport itself is nestled at the bottom of a 450 meter cliff on the northern side of the island, an area known for rapidly changing winds and downdrafts. 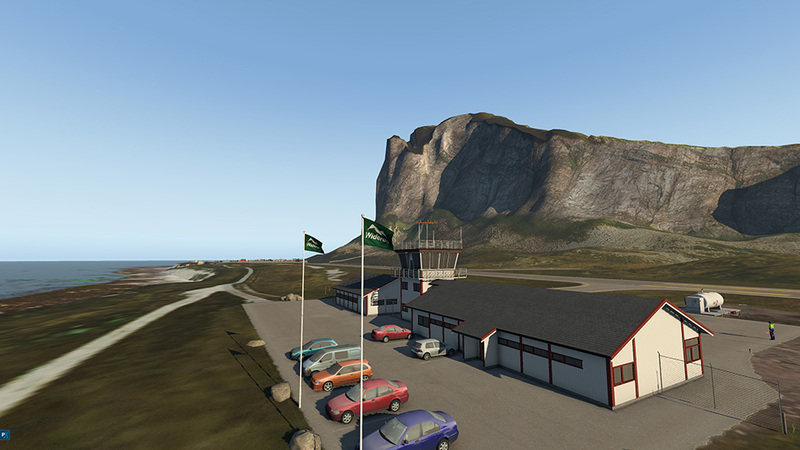 The scenery also includes a custom Aurora Borealis effect creating a majestic atmosphere, especially during the dark winter months.